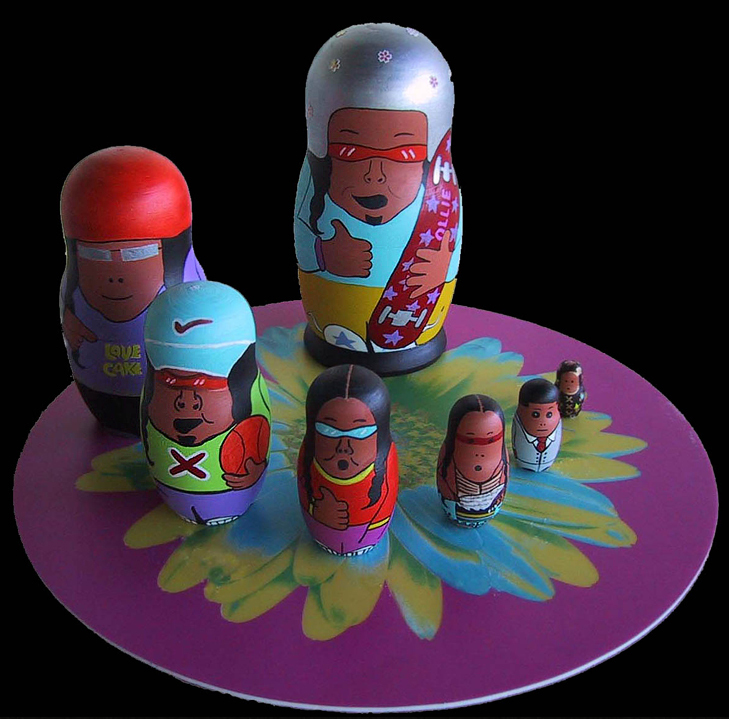 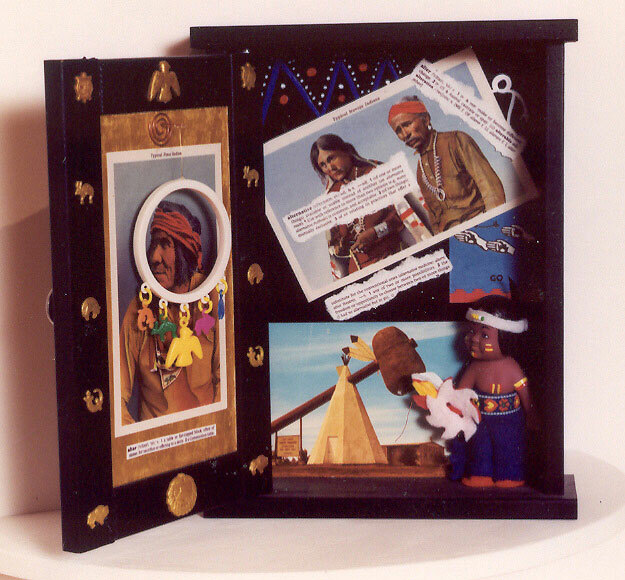 Seven Stages of Phatness (2005), 20.3 x 10.2 cm (descending sizes), mixed media. 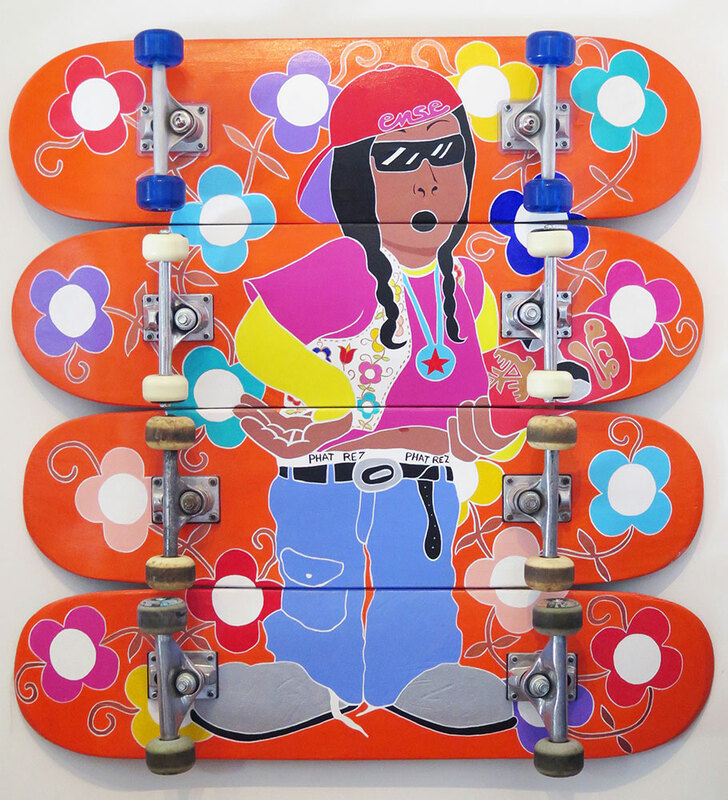 Phat(ense) (2005) 81.3 x 81.3 cm, acrylic on wood. 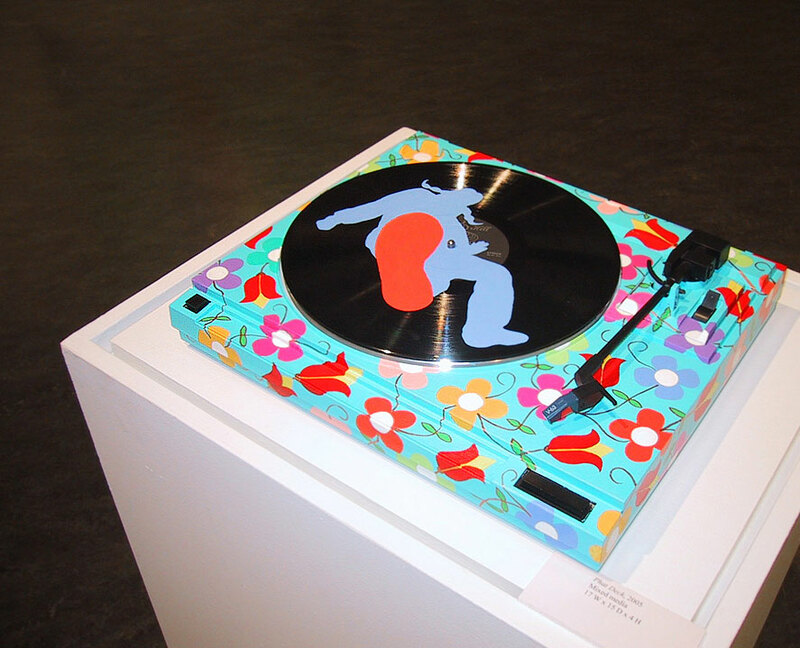 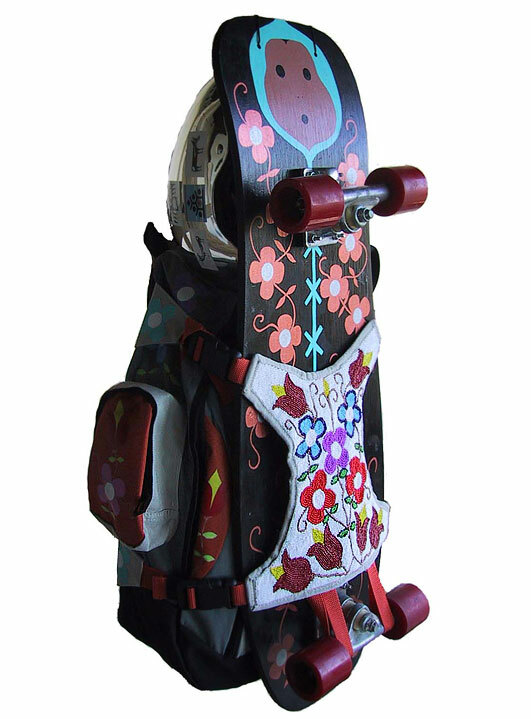 Phat Deck (2004) 43 x 38 x 10 cm, acrylic on plastic and vinyl (found turntable. 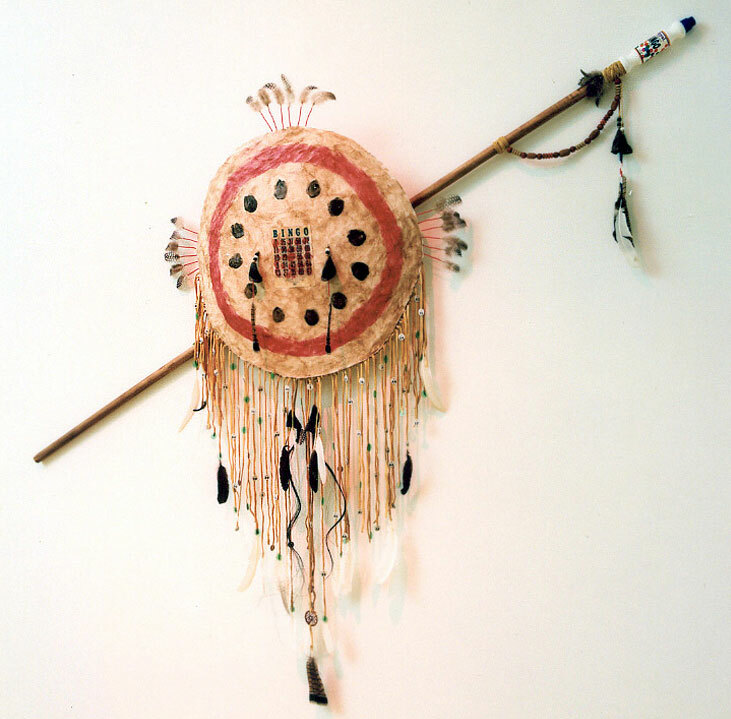 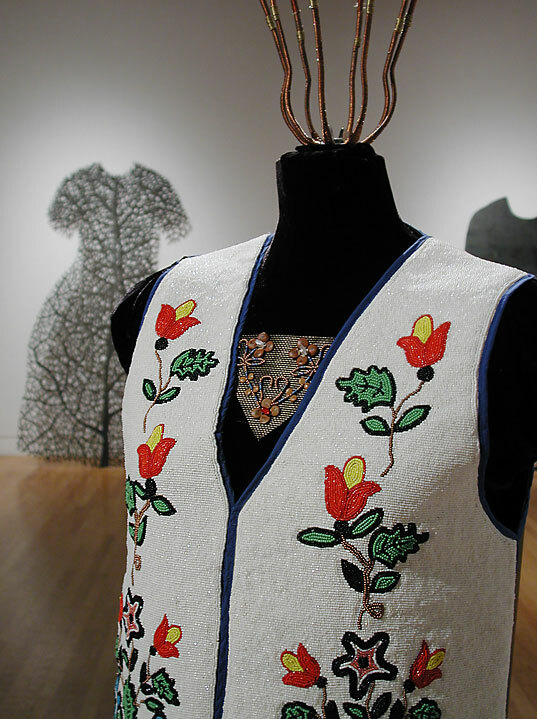 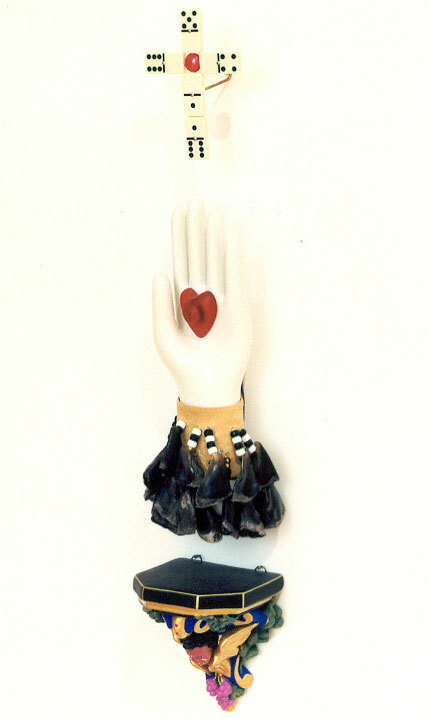 Phat Pack and Baby Phat (2005) 61 x 33 x 25 cm, acrylic on wood and canvas, beads, metal, plastic. 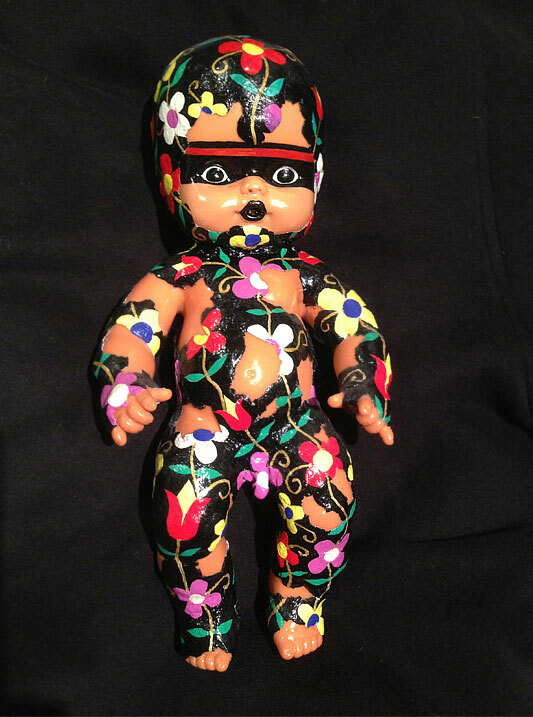 Abinoojiiyens Ogichidaa - Baby Warrior (2000) 25 x 10 x 10 cm, acrylic, plaster on plastic doll. 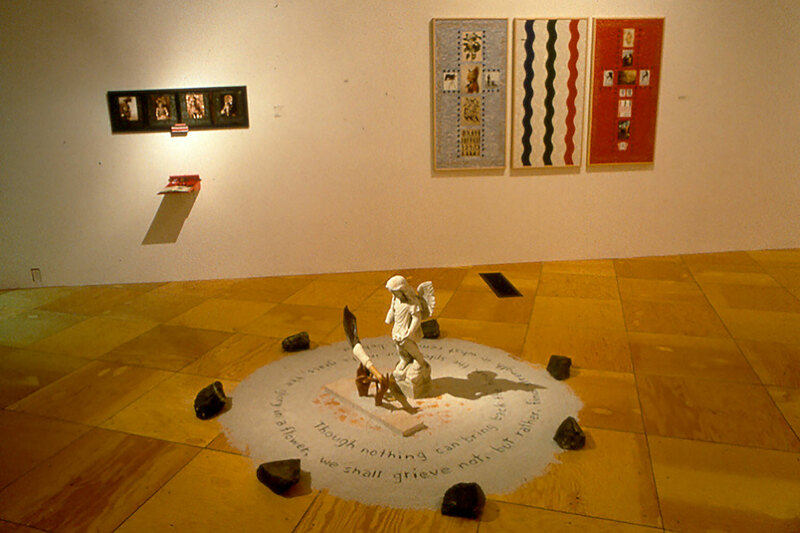 Parallel Tasking (2000) 212.2 x 42 x 48 cm, mixed media. 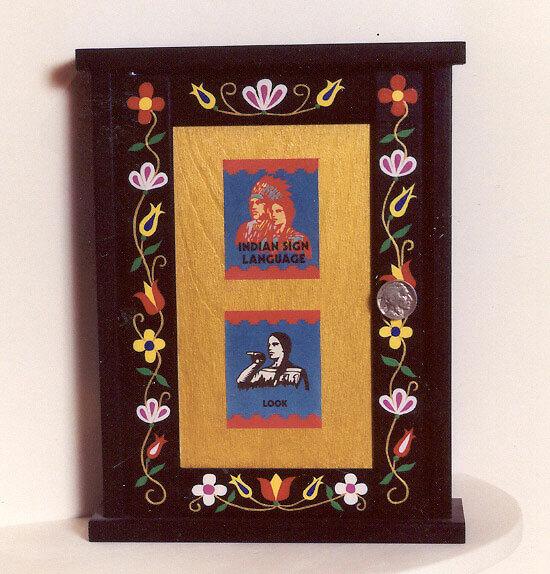 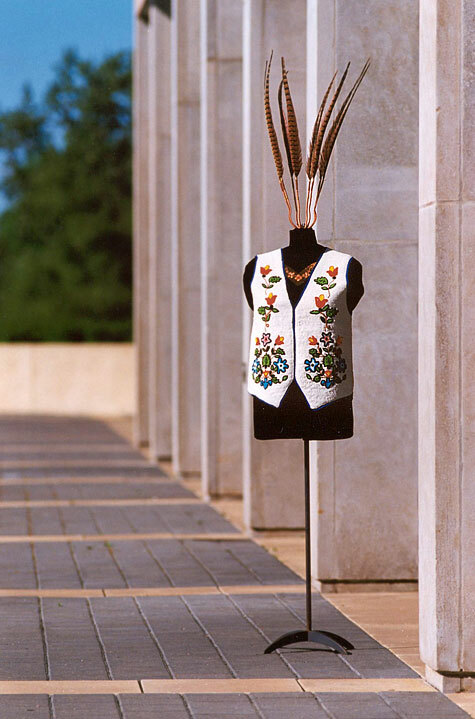 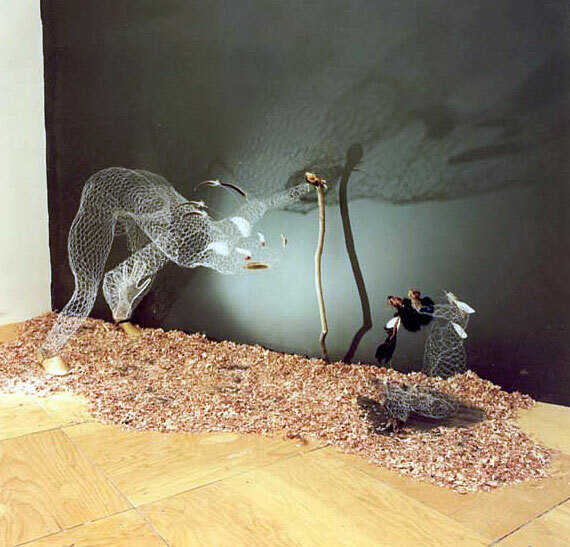 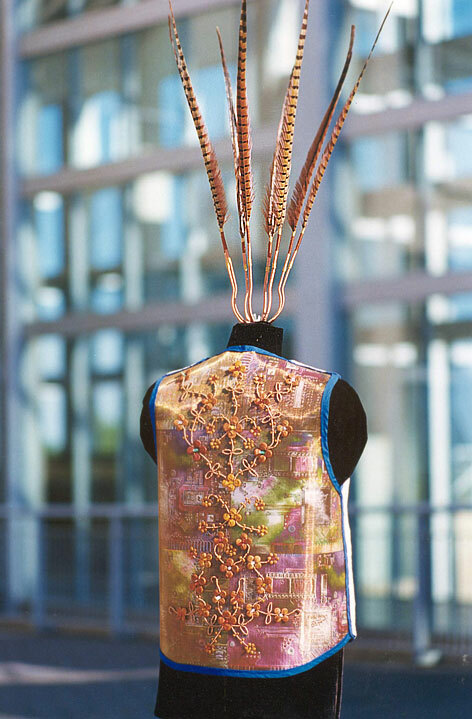 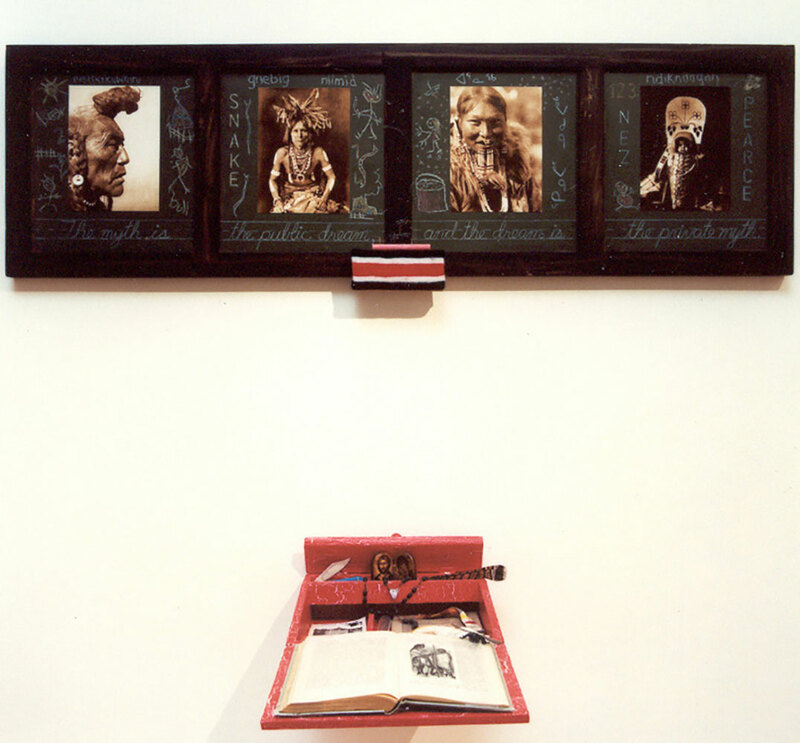 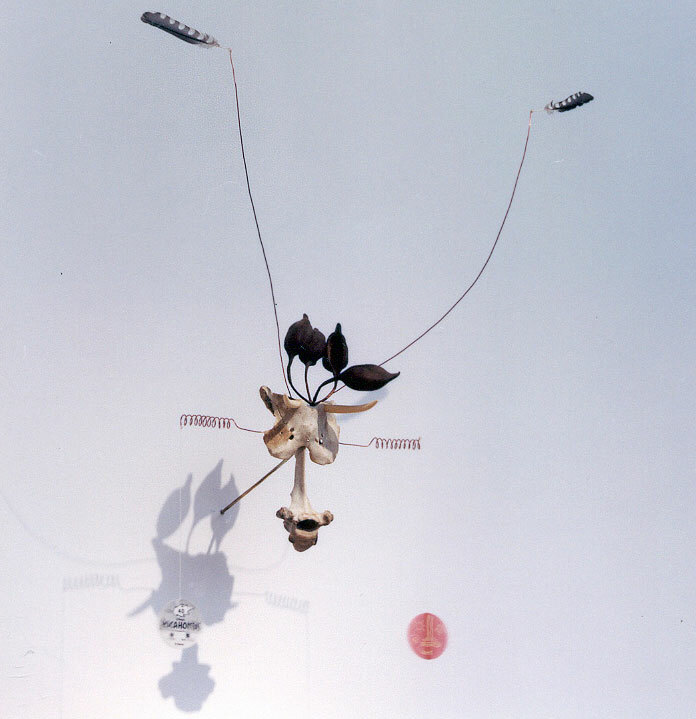 Mishipeshu (1997) 60 x 30 x 20 cm, mixed media.